From a generic point of view, every school has a desired goal that it wishes to achieve, it may be long or short term. These goals may include increasing the rank of your school, having the most conducive learning environment or profit maximization, but the most common & ultimate goal is to ensure a continuous, successful and progressive financial growth. Skills gap analysis: Higher teaching quality is the number one factor responsible for the enrolment of children into schools by prospective parents. In order to enrich your academic staff’s teaching capabilities, a skills gap analysis should be conducted to find out where they are lacking and how to improve. Bearing in mind that seeking external training can cost a fortune, you can recommend a free online training course or hire a professional trainer if it is within your budget. Introduce digital tools: Make teaching a fun learning experience for both teachers and students because they would learn better. Show the teachers what digital tools are free online and how they can utilize it to their advantage -these tools encourage effortless interaction between teachers and students. Reduce class size: Minimizing the size of a class may seem a little financially daunting because reducing class size translates to less than the average number of students paying tuition – on the other hand, it would all fall back into place in the long run. This is because you can monitor their progress and identify their areas of weakness. They will likely perform better -increasing the school’s standard- and give it the reputation it needs. Automate processes to reduce paper clutter: Subscribing to a school management software allows you to automate school functions that require the use of paper i.e. printing student results, records compilation, accounts, admission forms and session calendar. Although this software is not exactly free, it is affordable to an extent and it helps you to reduce manpower involved, save cost of paper and printing stationery which incurs continuous cost. 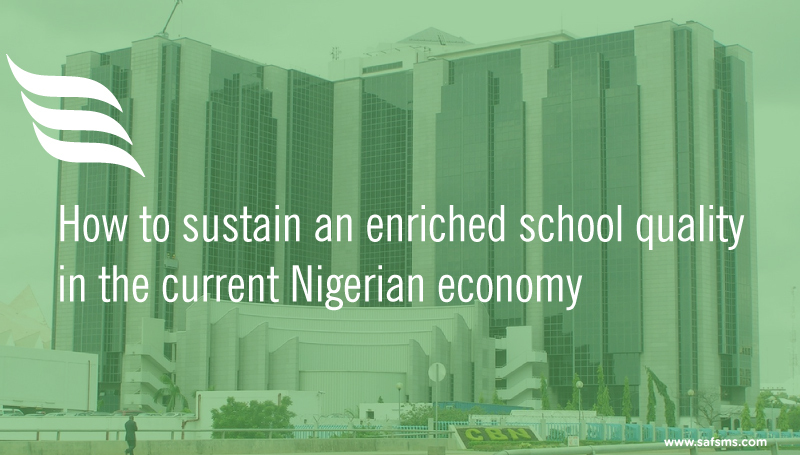 These few points will help you increase your school quality despite the current state of the Nigerian economy .